The Bellevue Heights Church ministry goals are to be… CHRIST-HONORING by worshipping, singing, praying, living; WORD-SHARING by preaching, teaching, edifying, sharing; NEED-MEETING by caring, helping, encouraging, lifting; LIFE-CHANGING by baptizing, equipping, sanctifying, uniting; WORLD-TOUCHING by relating, praying, witnessing, sending…fellowship of believers. Contact us to learn more about a specific ministry or to get involved. The men of BHC meet at 8:30 AM on the 3rd Monday of each month, September through May. They have a fellowship breakfast with a special guest speaker. They also gather on Tuesday at 7:00 AM each week for prayer. BHC Women’s Ministry’s Vision is to develop a caring community of women devoted to Christ. 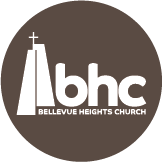 Bellevue Heights is a mission-minded church. Through our annual Missions Department budget, we actively support more than 25 missionaries and organizations dedicated to proclaiming the gospel of Jesus Christ in the Phoenix area, the state of Arizona, and around the world. The mission of the Evangelism Department is to proclaim the love of Jesus Christ to all people in Sun City and surrounding communities. We extend the hand of friendship to believers, non-believers and those who are searching for a church home where Bible preaching is featured and Jesus Christ is glorified. Programs that educate, entertain and energize are important on-going events. Worship is blessed by choir leadership that gives praise and thanksgiving to our Lord through anthems, and by leading the congregational hymn singing. There are special choral celebrations throughout the year. The choir meets for rehearsal on Thursdays 2:30 PM. Saturday Contemporary Worship is led by the worship band which rehearses on Saturday at 3:30 PM. Join us for Sunday Morning Spiritual Growth Classes 8:30 to 9:30. Life Groups meet in homes for 6-8 weeks to study the word of God and to encourage each other. By attending you can encourage one another and be equipped for spiritual growth. Each Sunday before and after church, a team meets to pray. Hoover Prayer Chapel is opened Monday through Thursday from 8:00 AM to 12:00 PM for prayer. Men meet on Tuesday morning at 7:00 in Franklin Hall for prayer. During the season of Lent a prayer gathering takes place each Wednesday from 11:00 to 11:30 AM in the Prayer Chapel. The Care and Concerns Department keeps a steady and loving hand on the pulse of the congregation. Department members offer support, in a variety of ways, and stand ready to help those with specific needs.